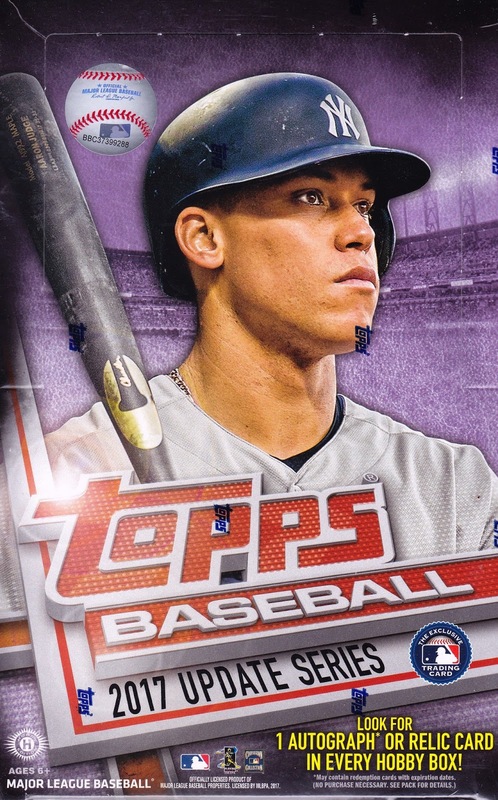 One look at Aaron Judge’s stoic glare on the cover of 2017 Topps Update Baseball and it is evident that Topps has lofty goals for its postseason product. 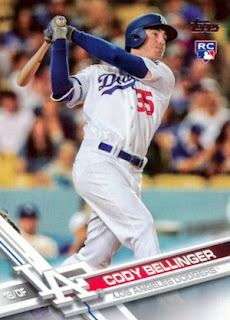 Topps has loaded the base set with the two most desired young players in the game, with the inclusion of three additional rookie cards of Judge, as well as four of Los Angeles Dodgers upstart Cody Bellinger. Packed with the magnetism of these two power hitting young superstars, Topps is hoping that the abundance of their cards in the set will draw collectors to 2017 Update as the World Series championship hangs in the balance. 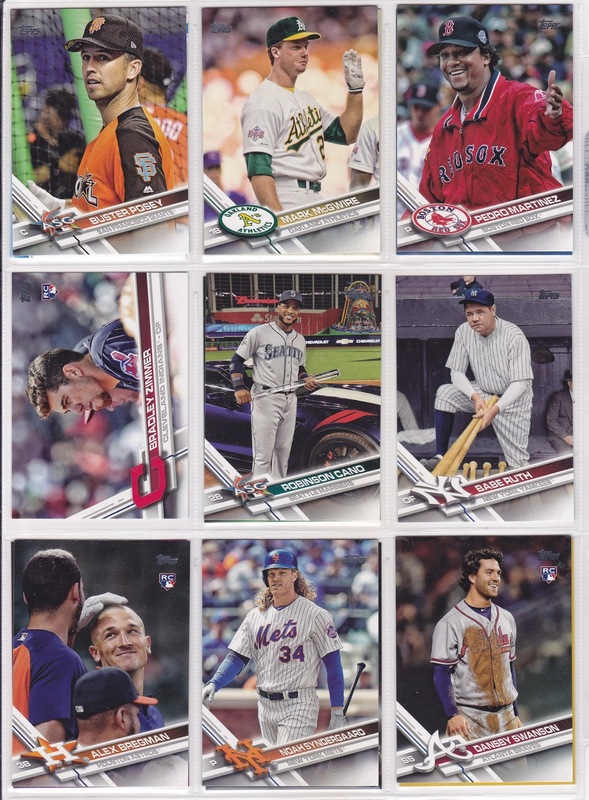 With Judge’s dominating performance in the 2017 Home Run Derby serving as the first card in the set, Topps also highlights his rookie debut and his All-Star Game selection. Bellinger gets the same treatment, as well as his official Topps rookie card in their flagship product, further increasing the attraction of this set for collectors in both the near and long term. 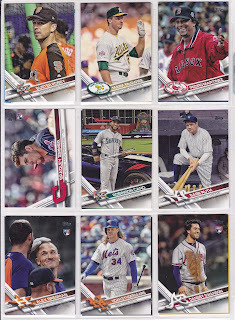 Outside of the two aforementioned likely Rookie of the Year selections for their respective leagues, Topps Update provides lesser known players to get their first shot on major league cardboard, as well as team collectors finding their team’s recently acquired 25th men having their moment in the sun after potentially being passed over in Topps Series 1 and 2 releases earlier this year. Topps forces collectors to pay attention to detail with 2017 Update as there are well over 100 variations of the short print and super short print varieties that include legends Roberto Clemente, Babe Ruth, and Ted Williams. 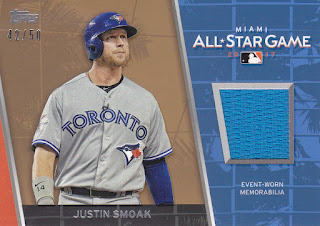 The lengthy set of variations could easily excite collectors to dive into a few boxes or chase a master set well into the offseason, giving this product room to run well after the World Series champion has been determined. Conversely, collectors craving simplicity could easily face burn out at this point in the season of having to track all of the different inserts within 2017 Update. 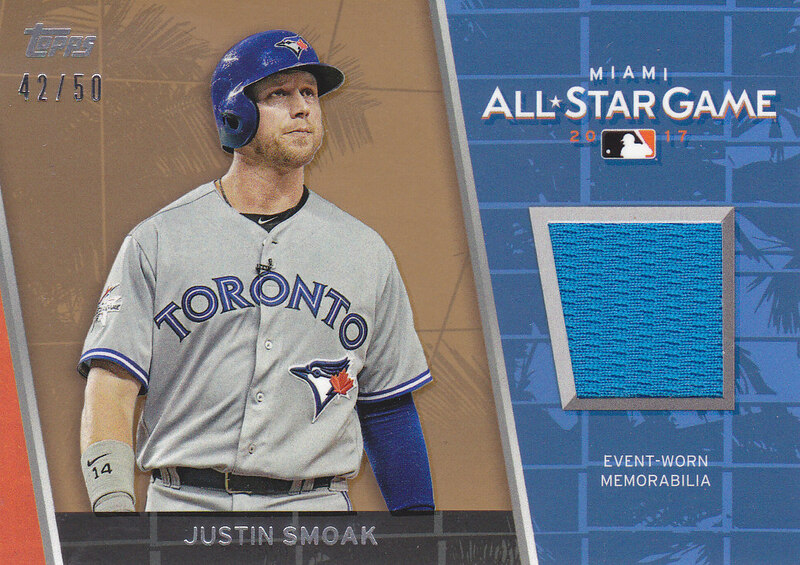 The box provided for this review yielded a complete base set with a few doubles to spare, an array of rainbow foil and Gold parallel cards (#’d/2017), nine of the aforementioned variations, and an All-Star relic card of Toronto Blue Jays first baseman Justin Smoak. At a price point of $65 per box, collectors will find value in the fact that 2017 Topps Update Baseball will yield a complete set that includes a combined seven rookie cards of both the likely Rookie of the Year winners from each league. Add on the assortment of potentially scarce variations, parallels, inserts, and a guarantee of either an autograph or relic card, Topps has scored another winner with 2017 Update Baseball.